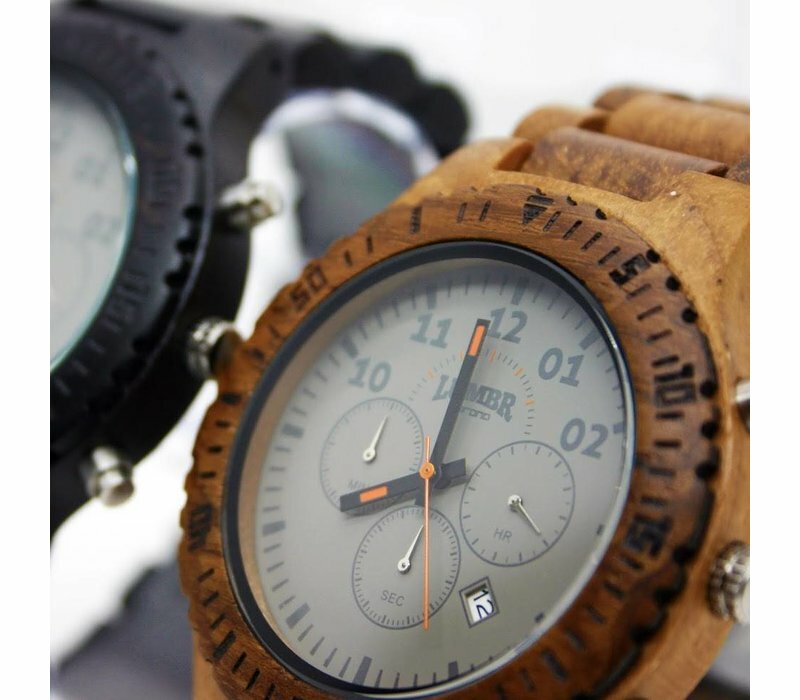 The ultimate clash between modern and classic! 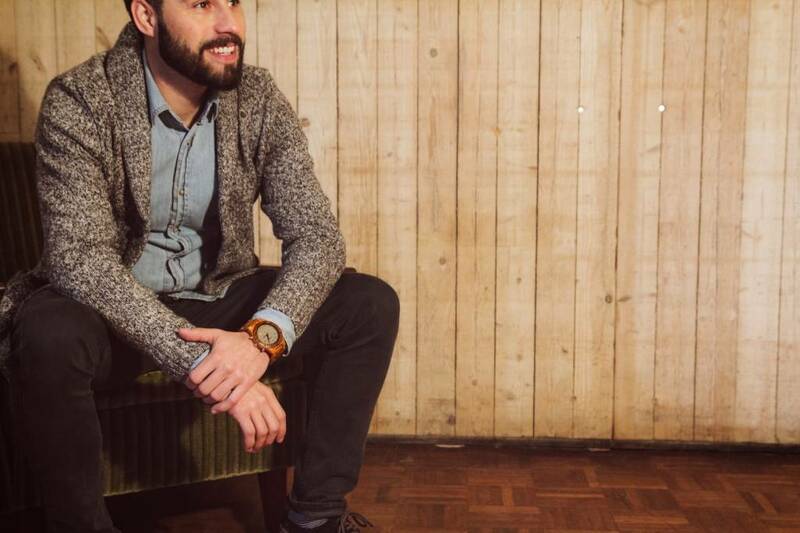 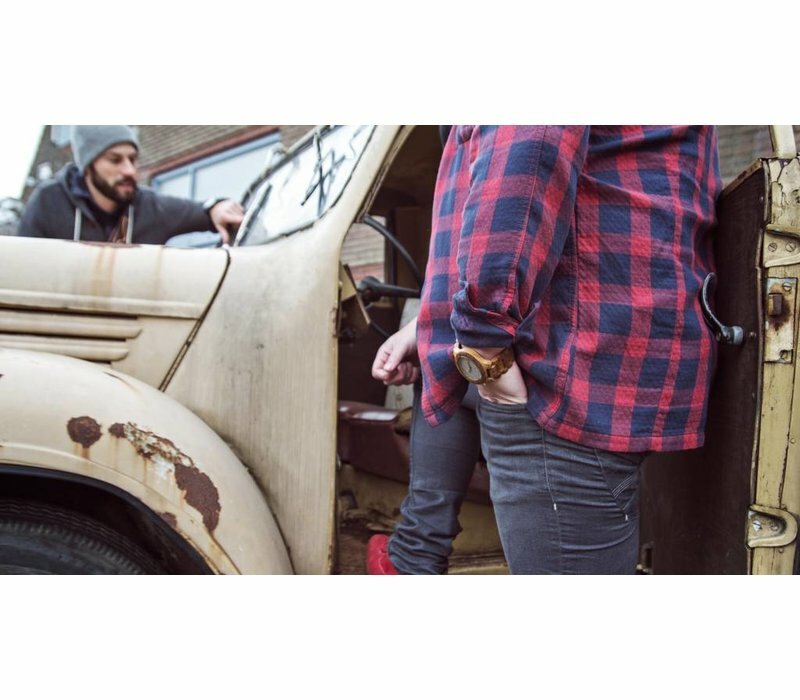 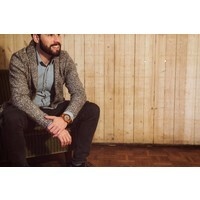 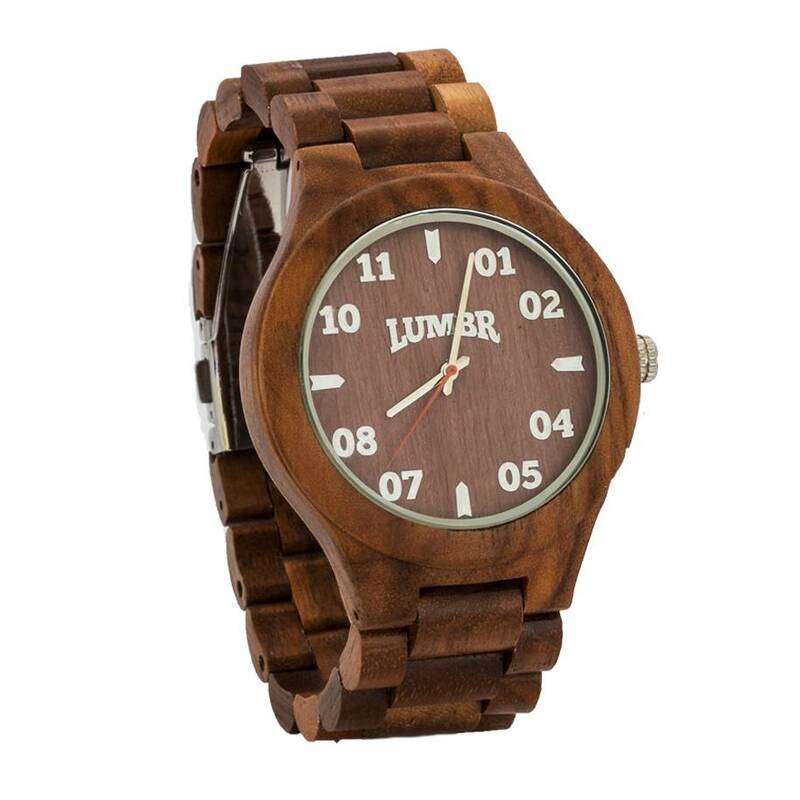 Chrono is the perfect example of the craftsmenship that we at Lumbr use to create our watches. 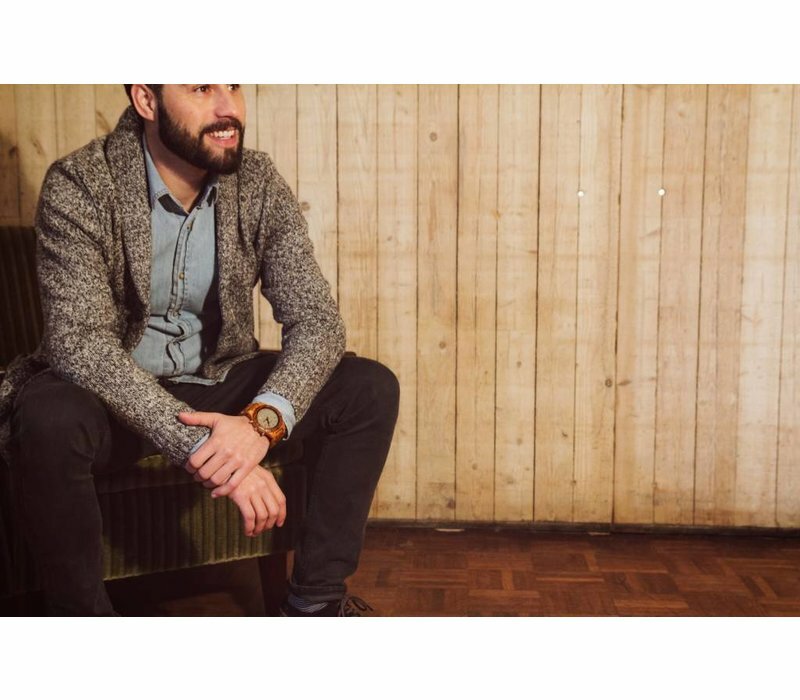 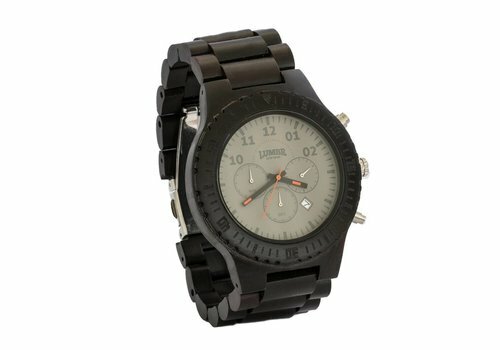 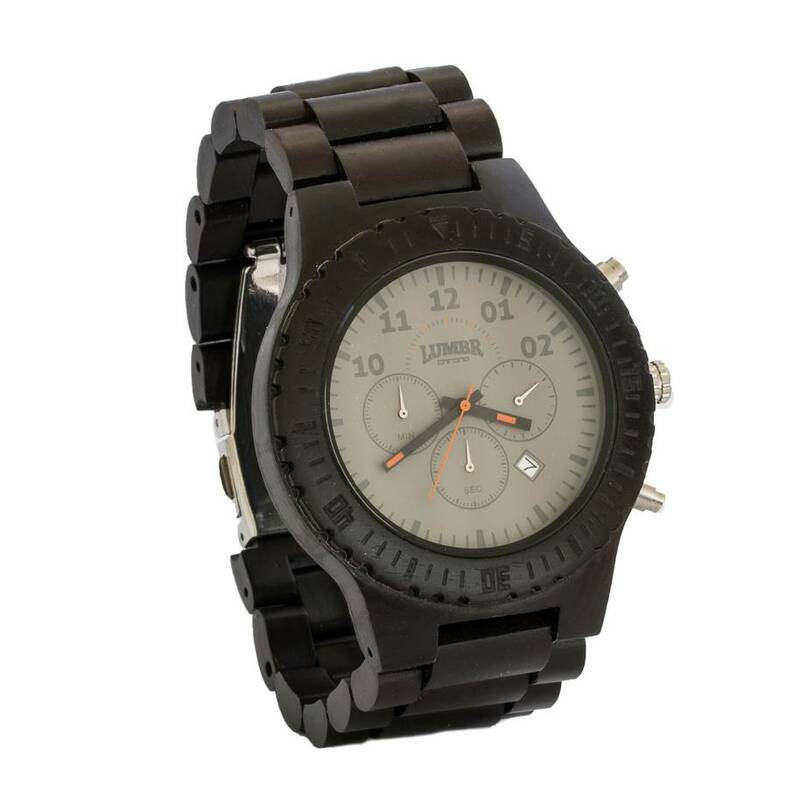 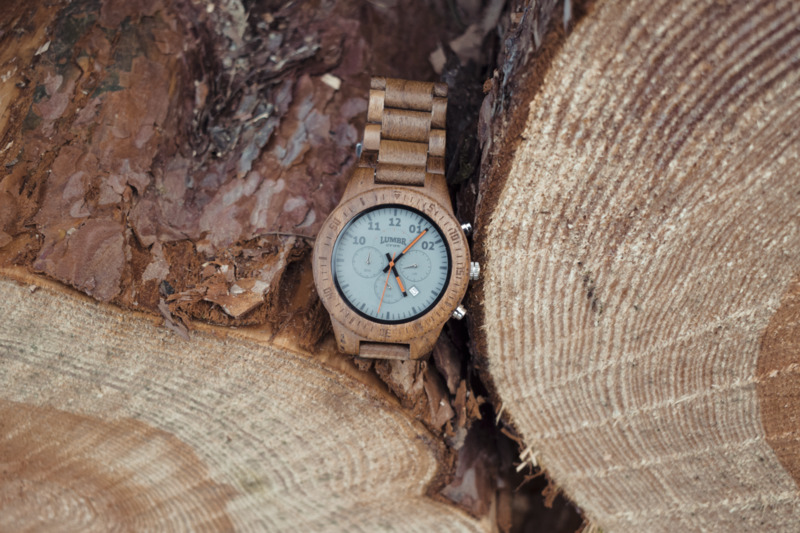 The wooden strap and casing complement the matt grey inner working of the watch. 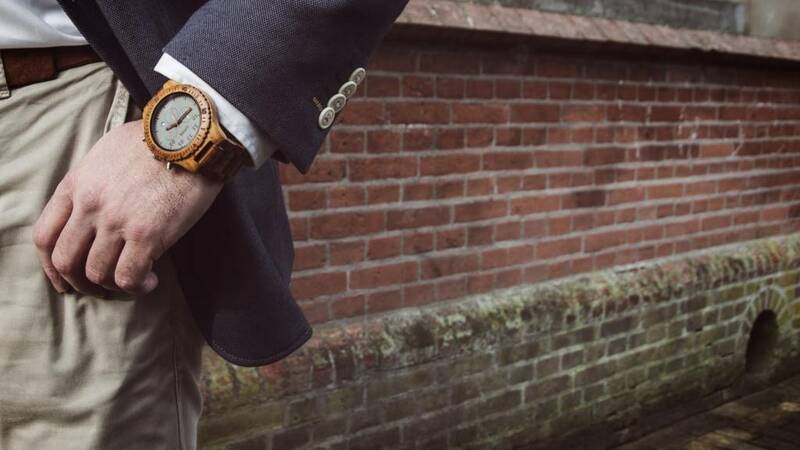 Next to the time, our chronograph shows the date, a 24 hour clock and a sec/min timer. 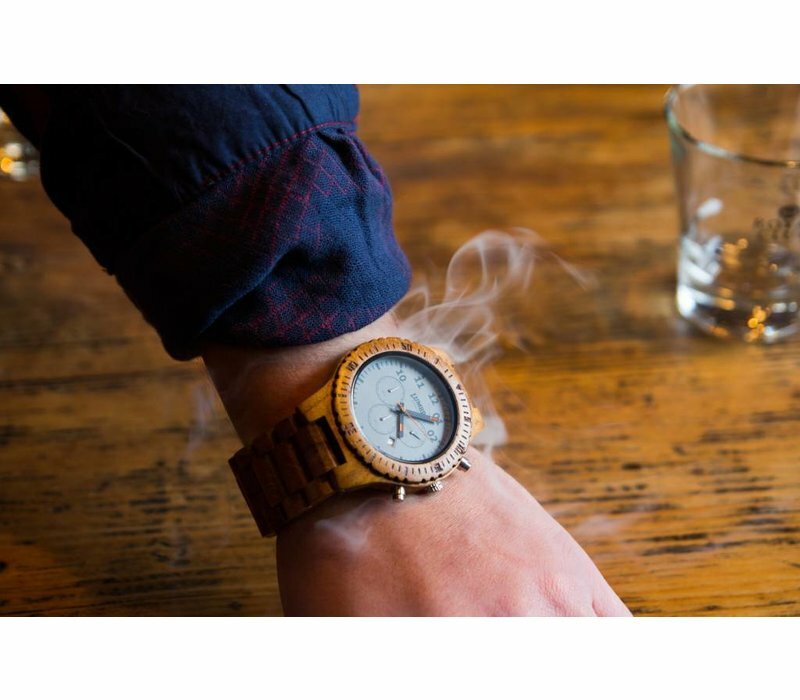 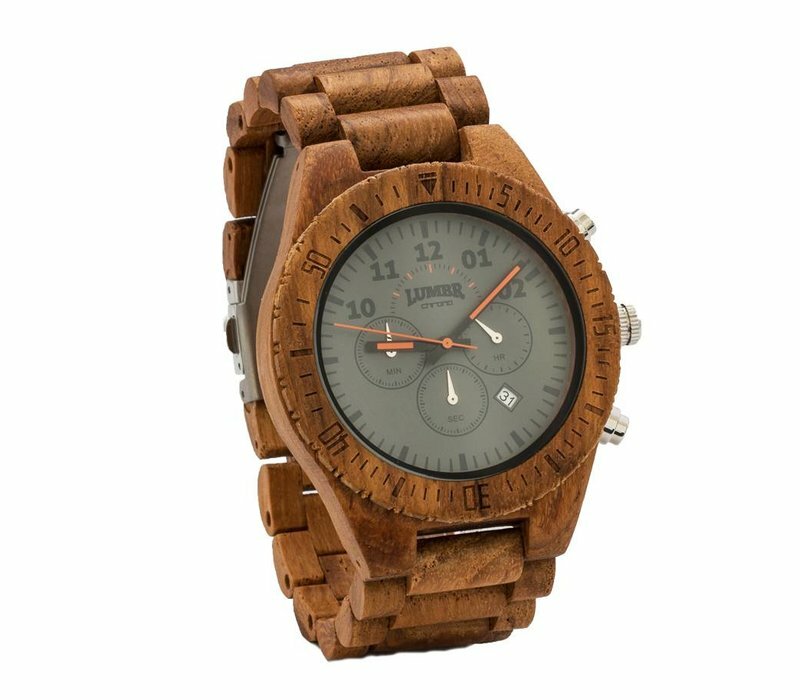 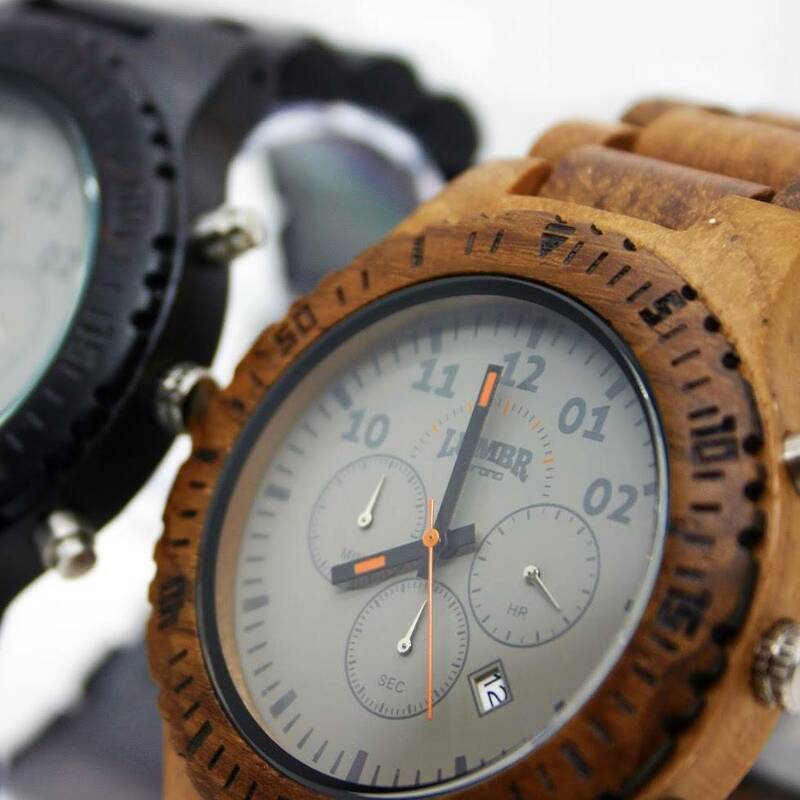 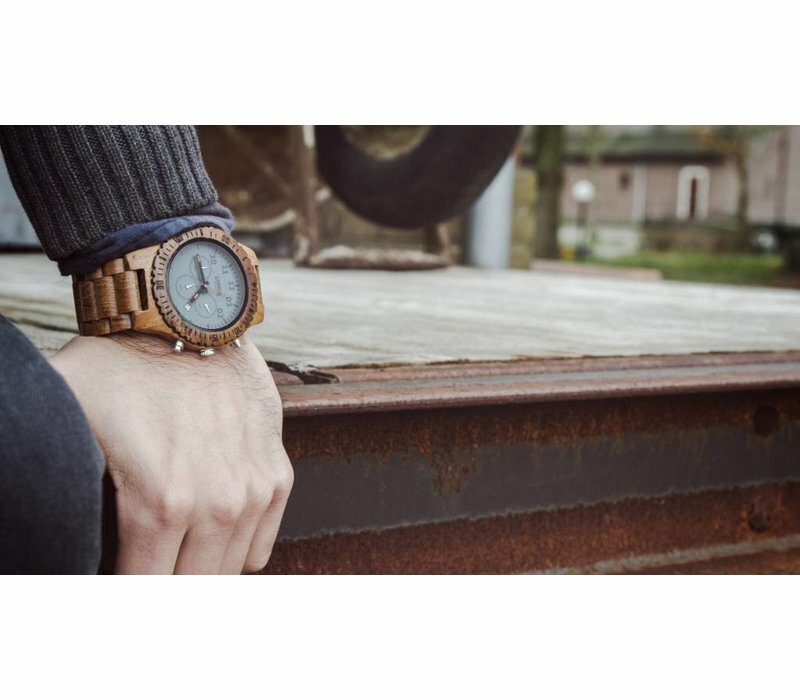 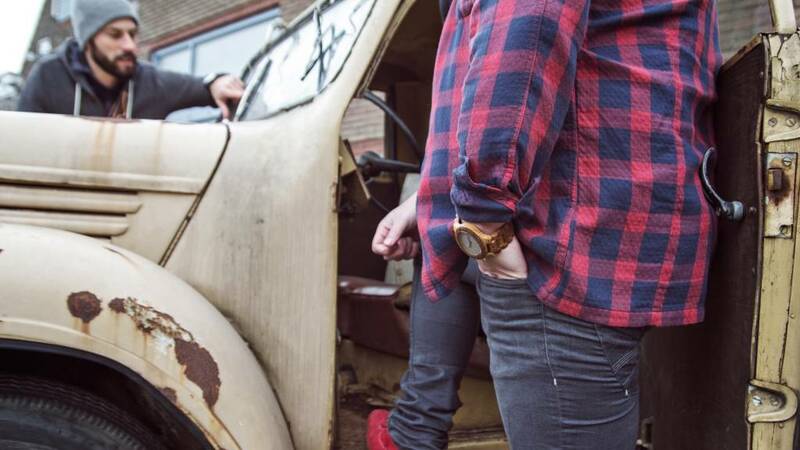 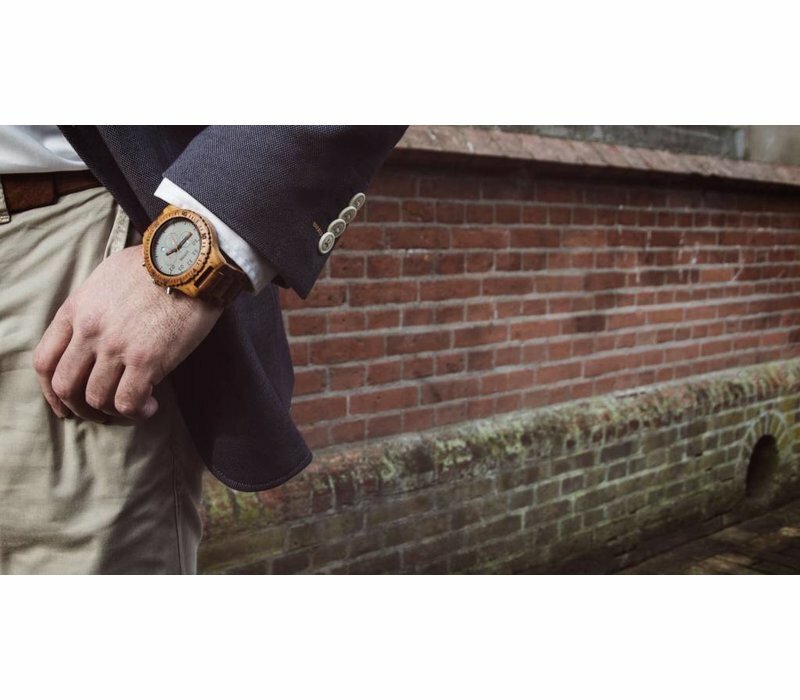 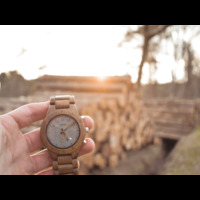 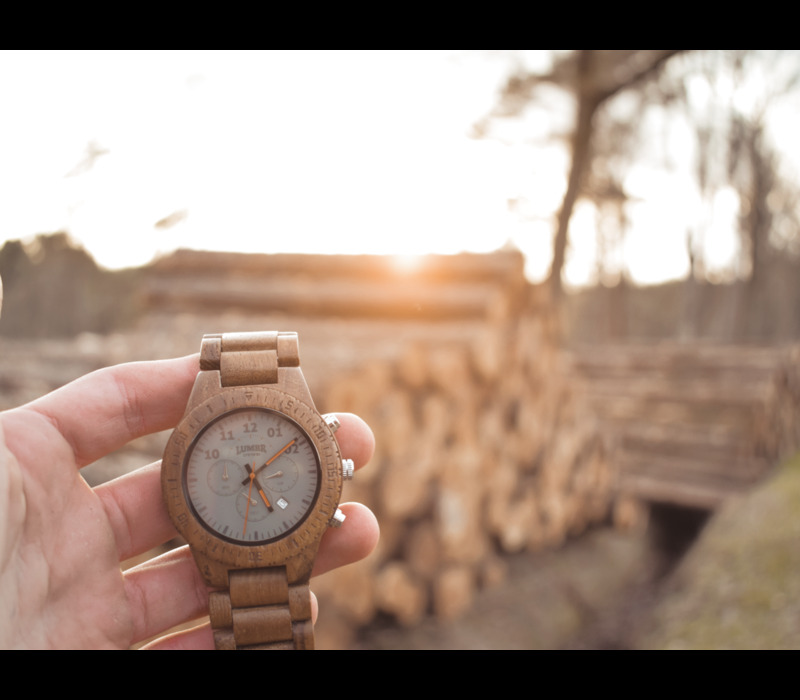 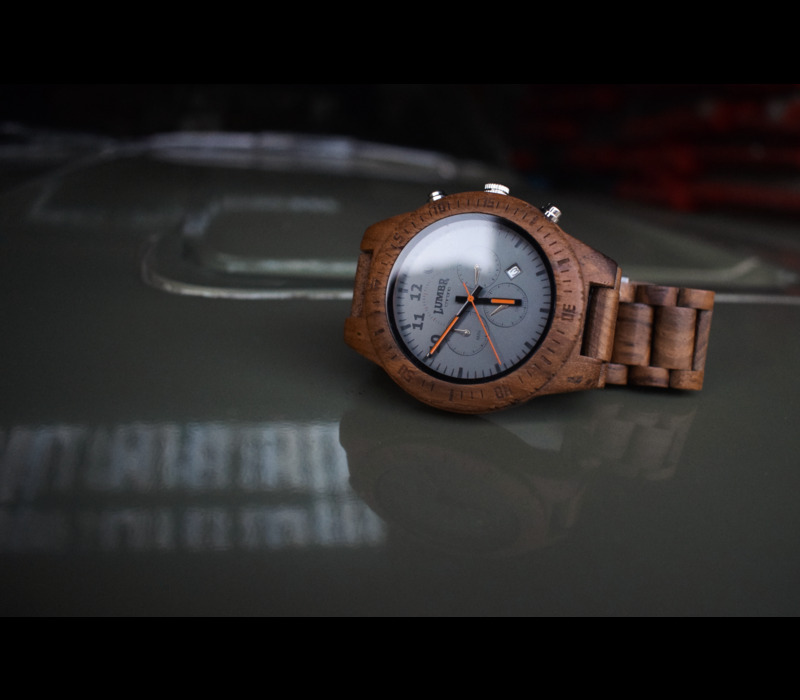 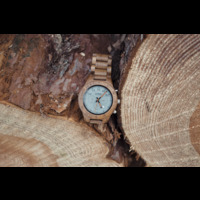 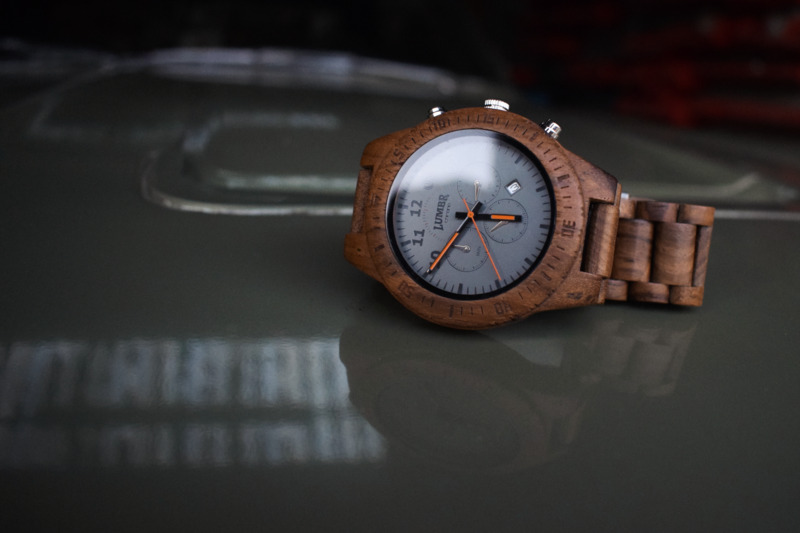 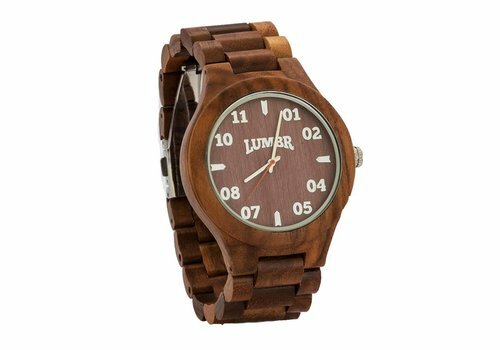 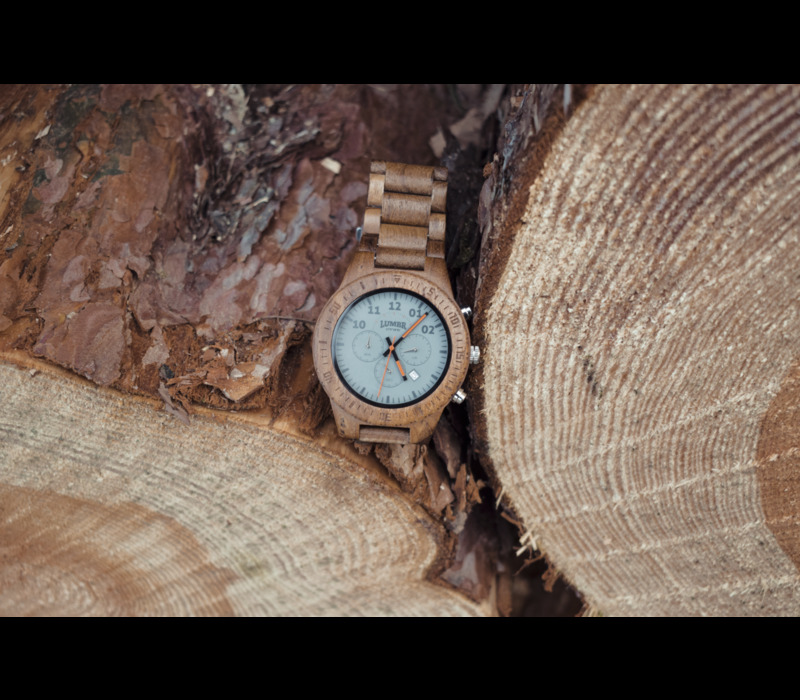 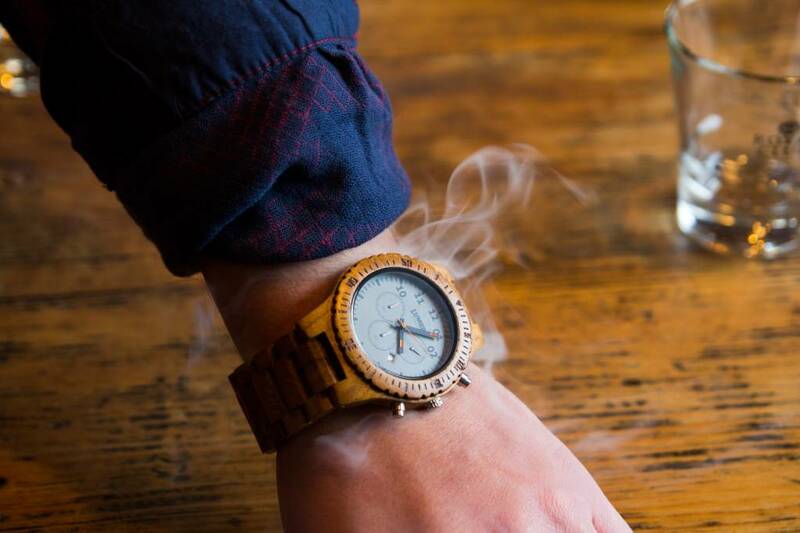 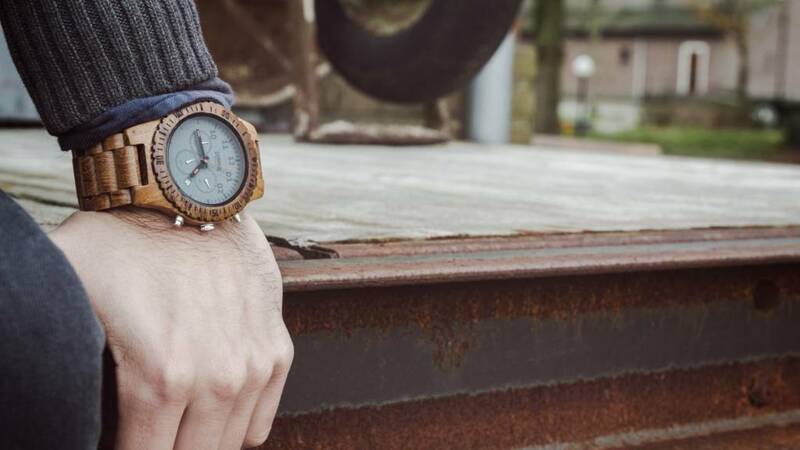 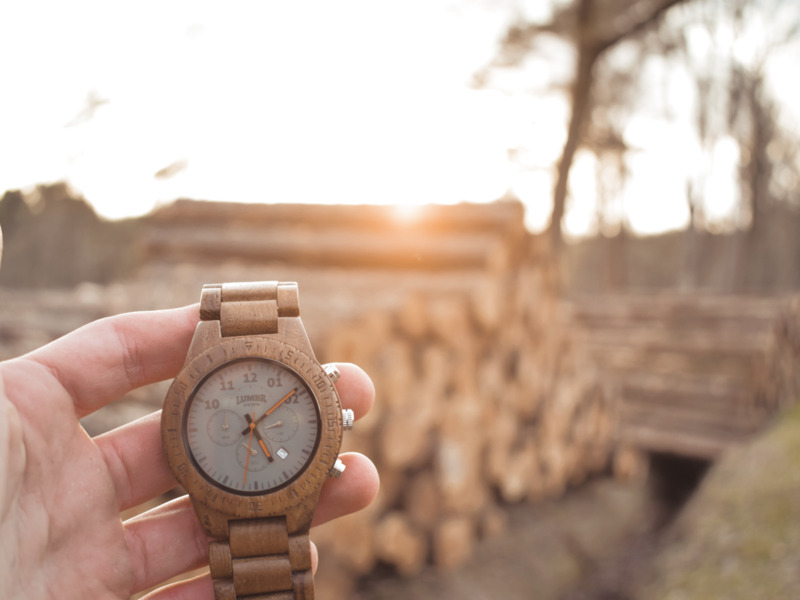 This Chrono watch is made out of teak wood. 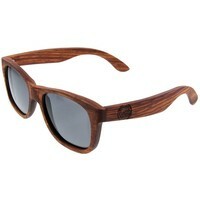 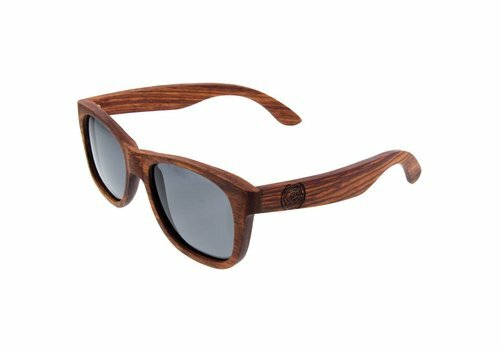 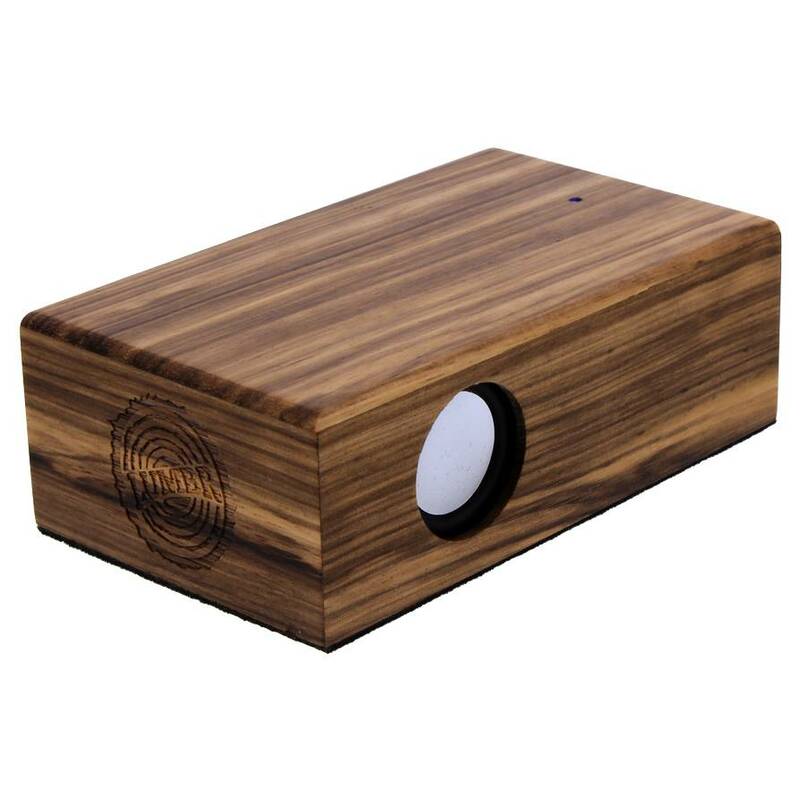 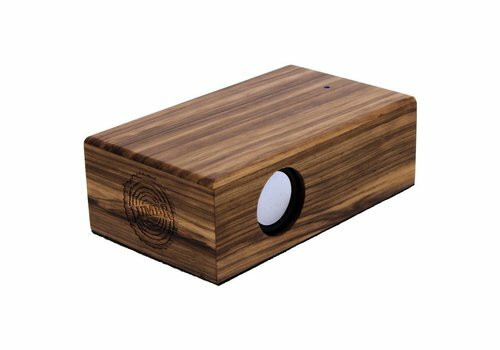 Also available in dark ebony.